A senior Russian diplomat has said that a 2013 act that forbids US citizens from adopting Russian orphans and US adoption agencies from operating in Russia will remain in place, as the situation that led to its passage has not changed. “From the Foreign Ministry’s angle, I can confirm that all the conditions and all of the serious blunders in the work of the American authorities that caused us to adopt the Dima Yakovlev Law currently remain,” the ministry’s Plenipotentiary for Human Rights and the Rule of Law, Konstantin Dolgov, was quoted as saying by Interfax. The official also emphasized that US officials have done nothing to remove the “well-founded and lawful concern of the Russian authorities” over the fate of Russian children who live in US adoptive families. In November 2016, a freshly appointed ombudsman for children’s rights, Anna Kuznetsova, said that she did not rule out the possibility of engaging in talks with US officials on lifting the adoptions ban. However, presidential press secretary Dmitry Peskov said in December that the Dima Yakovlev law was serving its purpose and that Vladimir Putin’s stance on the problem has not changed. The Dima Yakovlev law was passed in late 2012 and came into force in early 2013. It forbids the adoption of Russian foster children by American citizens, as well as any participation of US citizens or organizations in the process of adopting Russian children. Sponsors of the law cited several cases of abuse of Russian children by their American adoptive parents to justify the move. They complained that the punishment for the offenders handed down by the US justice system was disproportionately mild, while Russian diplomats were prevented from contributing sufficient input in the prosecution of such cases. The document was named after Dima Yakovlev – a Russian born toddler of just 21 months who died from heatstroke in 2008 after his adoptive father left him strapped in a car seat for nine hours under a scorching sun, with the temperature inside the vehicle reaching 170 degrees Fahrenheit. The man was initially charged with manslaughter, but the court acquitted him of any wrongdoing. The judge ruled that, despite being “plainly negligent,” Mr. Harrison had not shown “callous disregard for human life,” which is the legal standard for involuntary manslaughter in the US. The bill prompted many protests from both within and outside Russia when it was debated in the parliament, but the majority of Russian lawmakers and citizens supported it. President Vladimir Putin said in 2012 that the majority of Russians disapproved of foreign adoptions and emphasized the need to develop Russia’s own adoption system. The president also said that the law was not against adoptions per se, but rather a response to the US judicial system that regularly refuses to allow Russian diplomats to monitor the wellbeing of Russian children adopted by US citizens. 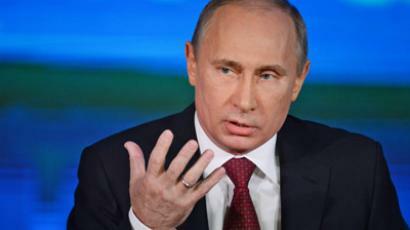 Putin called such refusals “a humiliation,” saying that no one should have to tolerate this attitude.